Our first Push Across Cayman was designed as a precursor for our upcoming Push Across America. Stay-Focused alum, Ryan Chalmers, who had recently represented the US as a member of Team USA in the Paralympic Games in London, had never pushed in his racing chair more than 40 miles. So, we decided we would create a 55-mile “Push” in Cayman to test his endurance. 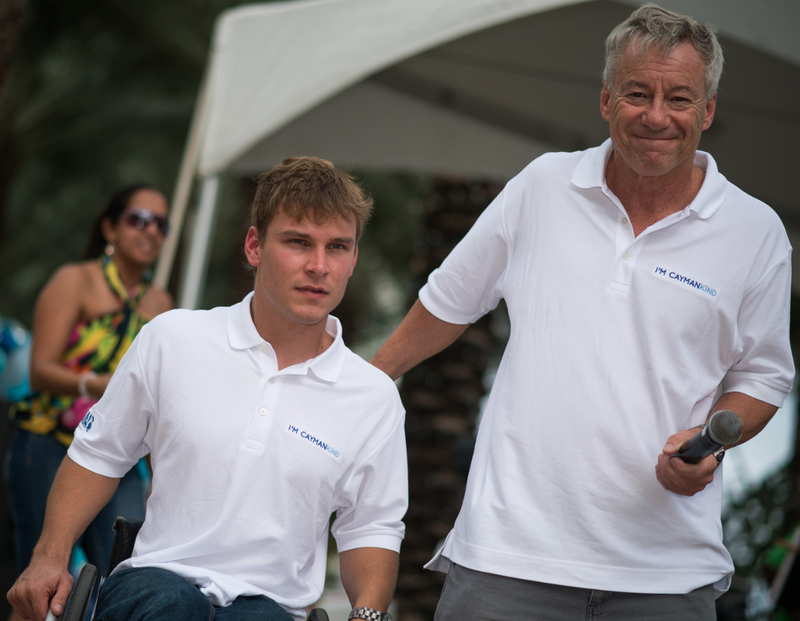 Four months later Ryan would be pushing his racing chair from Los Angeles to New York City, averaging 60 miles a day! On the Thursday evening before the Push on Saturday, November 24th, we enjoyed a dinner at Ortanique in Camana Bay. It was a great way to inform guests about our upcoming Push Across America, and why we were starting with a Push Across Cayman. Our guests were genuinely moved by Ryan’s presentation and ambitious plans. Ryan pushed out of Camana Bay at 7:00am and returned to Camana Bay five hours later. Fortunately, Ryan was joined by a great group of cyclists who motivated him to keep pushing. At the conclusion of the Push, Ryan and Roger greeted supporters, and thanked DART for its generous support of our first Push Across Cayman. 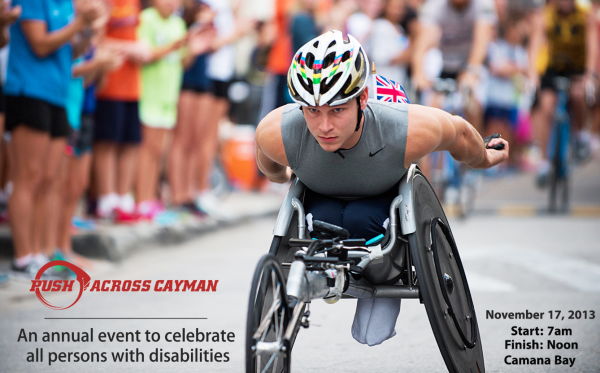 Little did we know at the time, Push Across Cayman would become an annual event – our signature event, designed to celebrate all persons with disabilities.